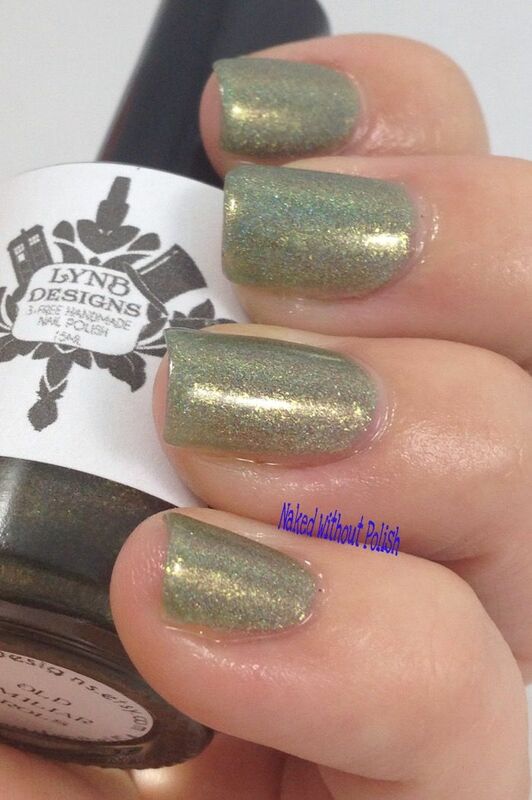 Old Familiar Carols is described as "a light mossy green with golden glass flecks and linear holo". Shown is three coats of Old Familiar Carols with B-Sticky, B-Shiny, and B-Moisturized. Old Familiar Carols applied like a dream. Super smooth, but slightly sheer. It took three coats to get it fully opaque. It goes on thin, so don't worry about it being too thick. Unbroken Song is described as "a red jelly with red and orange micro glitters and red glass flecks". Shown is two coats of Unbroken Song with B-Smooth, B-Shiny, and B-Moisturized. Unbroken Song was so perfect, it needed no clean up. 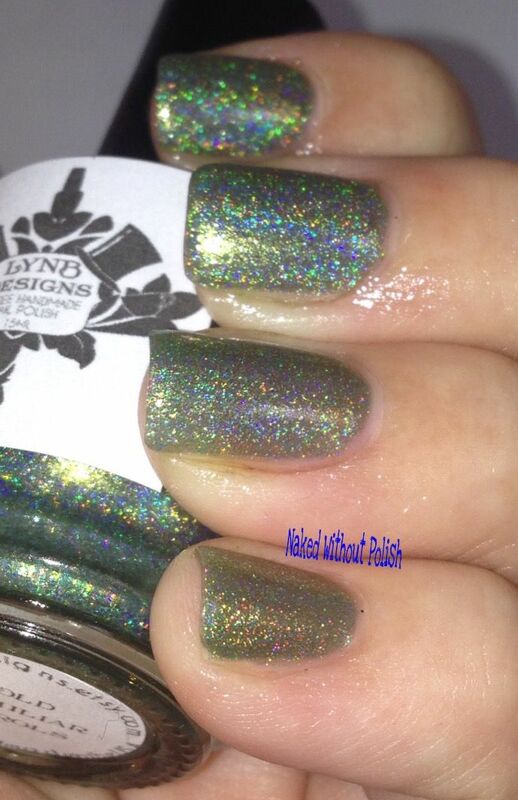 There may not be any holo in this one, but it's a stunner! 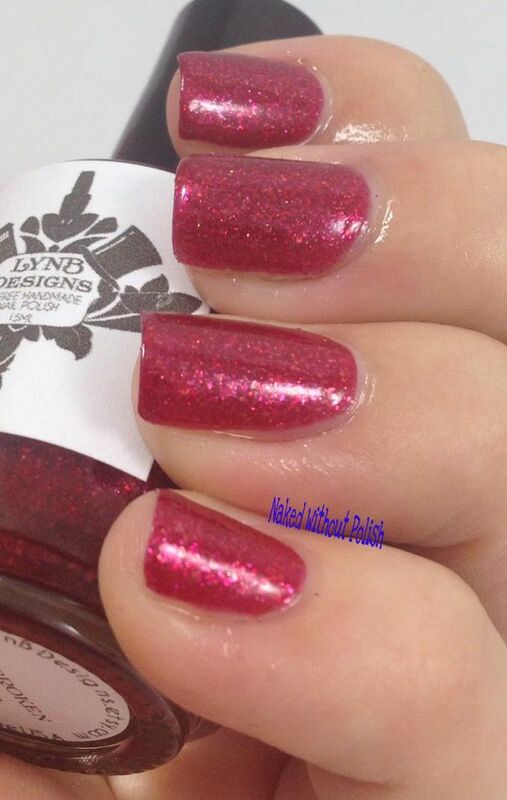 The perfect polish to jazz up your nails for a holiday party or date night. 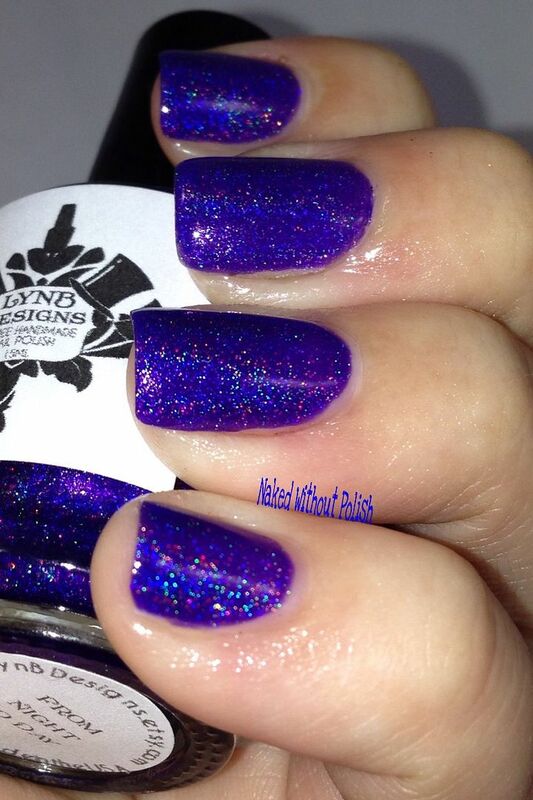 From Night to Day is described as "a blue toned purple jelly holo". Shown is two coats of From Night to Day with B-Sticky, B-Shiny, and B-Moisturized. 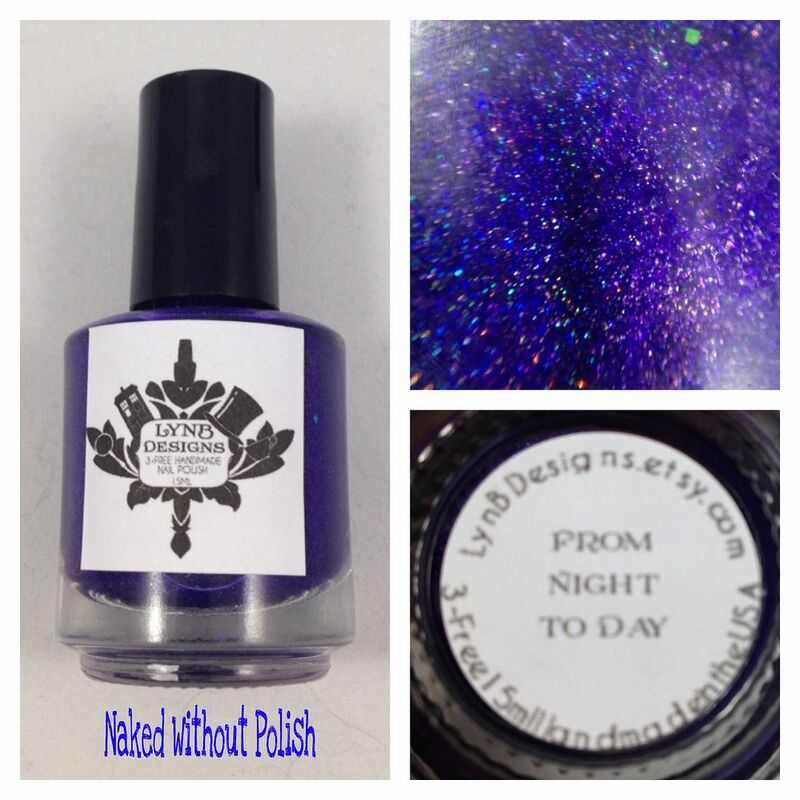 From Night to Day is an absolute perfect polish! 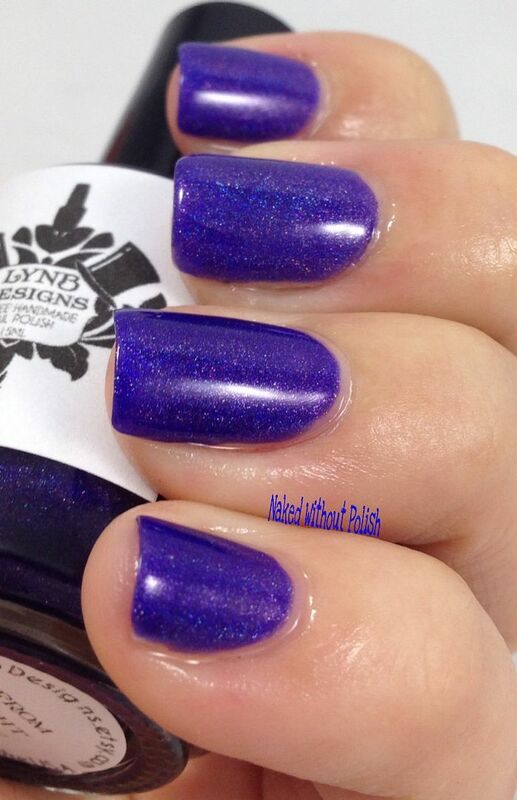 It is officially my new favorite purple, and it's one you NEED to have in your collection. If you are loving all three of the Holiday Trio polishes, the set is on sale for $20 during the Black Friday sale! That's basically getting one for free! In addition to the Holiday Trio, LynBDesigns also released her new Essentials Collection. It consists of B-Smooth (a ridge-filling base coat), B-Sticky (a sticky base coat), B-Shiny (a quick-dry, glossy top coat), and B-Moisturized (a fast absorbing cuticle oil). The set of all four is on sale for $15 ($20 after the sale) for the Black Friday sale. Once again, that is like getting one for free! Separately, they are currently $5 each ($6 after the sale). B-Moisturizing is available in three scents: gummy bears, peach, and almond rose. Gummy bears smells a bit softer than the first whiff you get as soon as you open a bag of Haribo. I thought peach was going to smell like the peach gummy rings, but it smells more like a peach blossom. It's soft and lovely. Almond Rose smells exactly like that, but the combination almost has a honeysuckle scent. I'm not a fan of rose scented anything, and I'm quite fond of this one. My absolute favorite of the three was a surprise even to myself. I'm obsessed with gummy bears! LynBDesigns has marked down everything in her shop up to 50% off. The sale is already in full swing and will run through December 2nd. 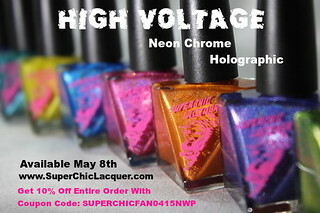 She has created four stunning limited edition gift with purchase polishes. For every $25 you spend in her shop (before shipping) you will get one of the LEGWPs. 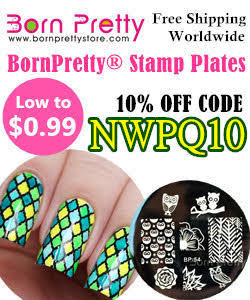 So, if you spend $100 you will automatically get 4 additional polishes. 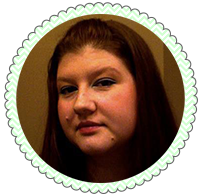 Also, don't forget about the Facebook fan group, LynB Loves! You get sneak peeks of polishes there, have contests/giveaways, and just all have fun while talking about a brand we love.